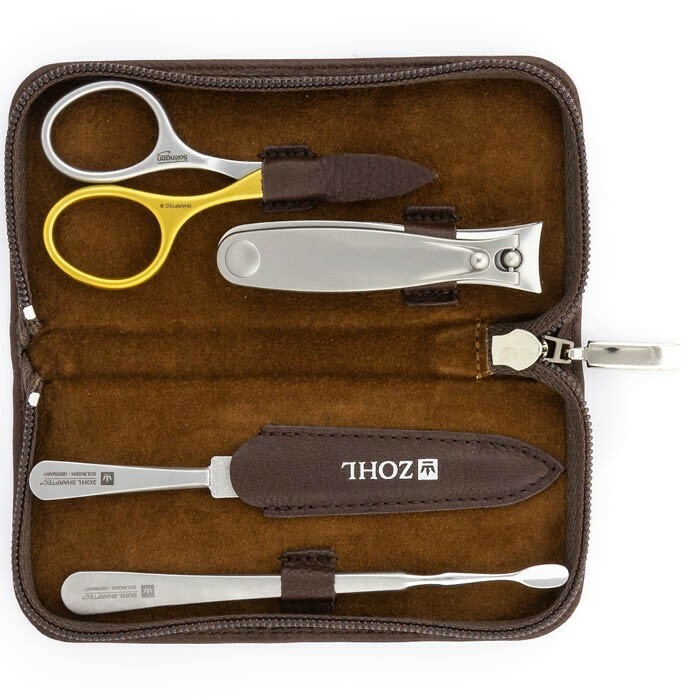 ZOHL manicure set Premier represents the latest innovation in the manicure sets industry. 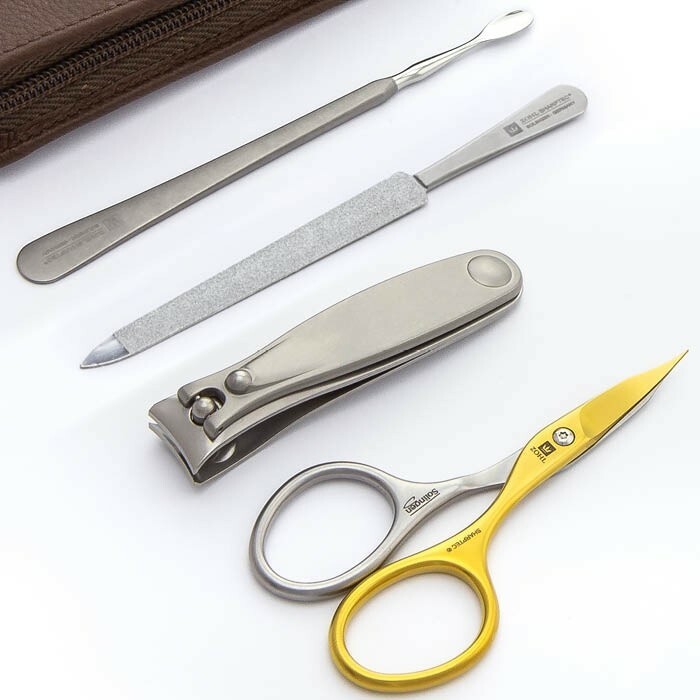 By blending the finest surgical steel with advanced design, what you get is the best manicure set that will delight you with decades of impeccable service. 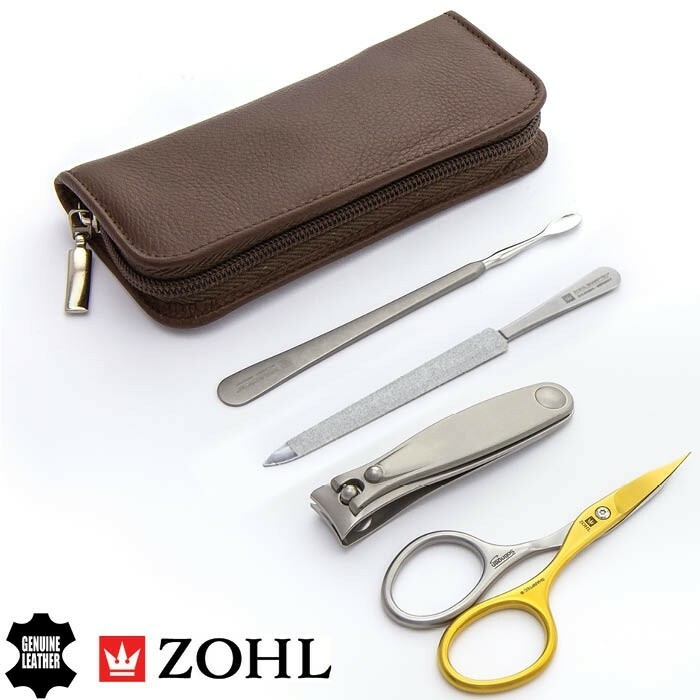 Luxury leather case is beautifully lined with genuine leather and contains 4 professional nail instruments: large Solingen nail clippers, self-sharpening combination scissors with fine tips ideal for trimming fingernails and cuticles, sapphire nail file and cuticle pusher. 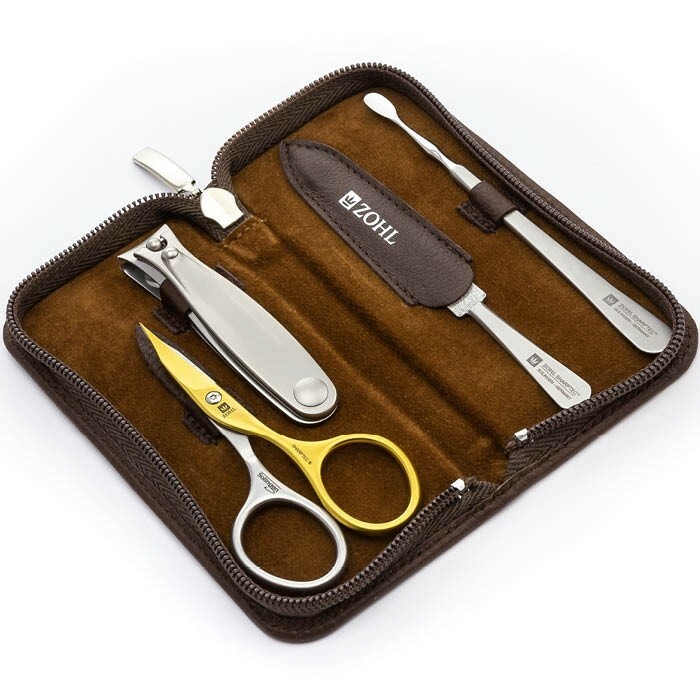 Crafted in Germany from strong grade stainless steel, the instruments are guaranteed to stay sharp and award with a clean and neat cut. 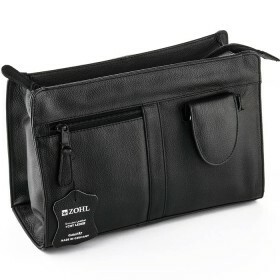 Perfect hand bag or travel set that fits easily in any luggage for easy transport. 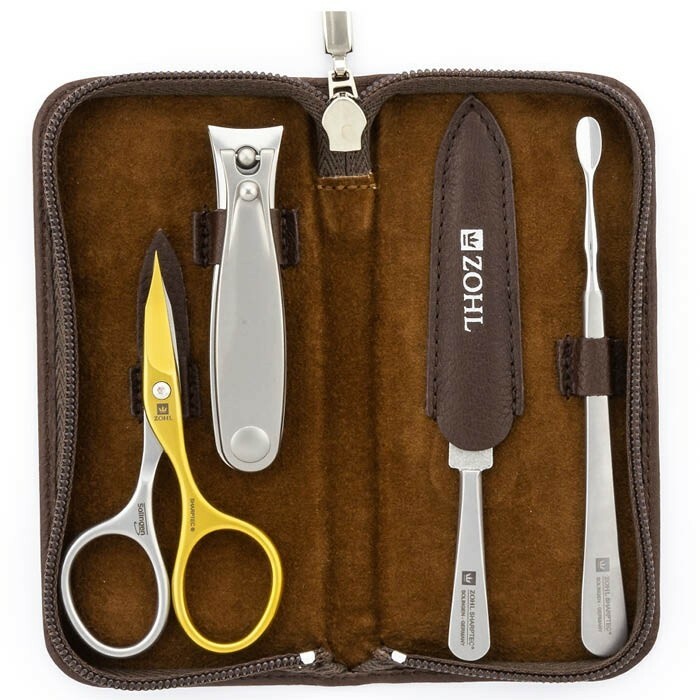 ZOHL introduces the highest quality manicure set Premier for the person who values the best nail instruments for their manicure and pedicure. Crafted in Solingen (Germany), the Premier is a showcase of the finest Solingen craftsmanship that will give you a long lasting service without any need of re-sharpening. SHARPtec instruments by ZOHL are distinguished by strong stainless steel approved for decades in surgical cutting tools, and perfectly sharpened cutting edge. 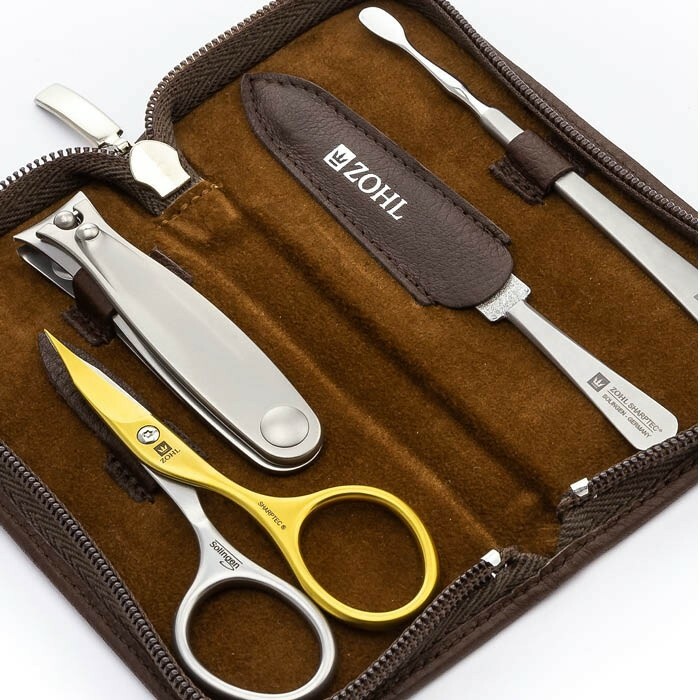 Long lasting sharpness is achieved through a series of multiple precision grinding steps that makes ZOHL clippers, scissors and cutters super sharp and durable – the feature only the best professional nail instruments have on display. 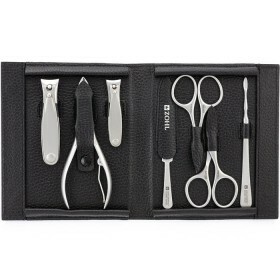 The Premier set includes the most advanced manicure scissors with self-sharpening effect. One blade made of strong titanium, it re-sharpens the other blade every time you open and close the scissors. 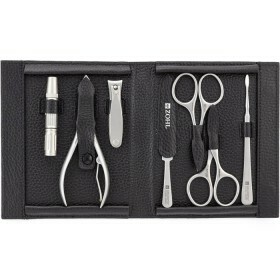 This means the scissors will stay sharp twice longer without sharpening. In other words, it's a lifetime gift or your nail care regimen. 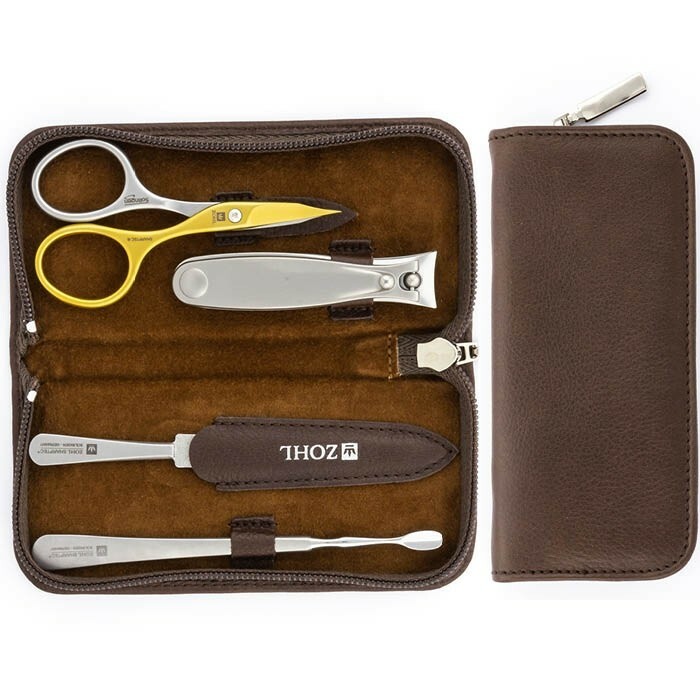 Manicure Scissors (9cm) with slightly curved blades and extra fine tips. 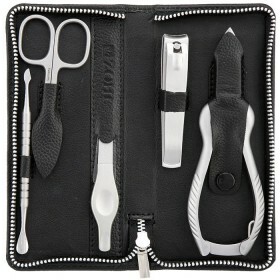 The scissors are perfect for nail cutting thanks to regular blades, and for cuticle removal thanks to very slim edges. 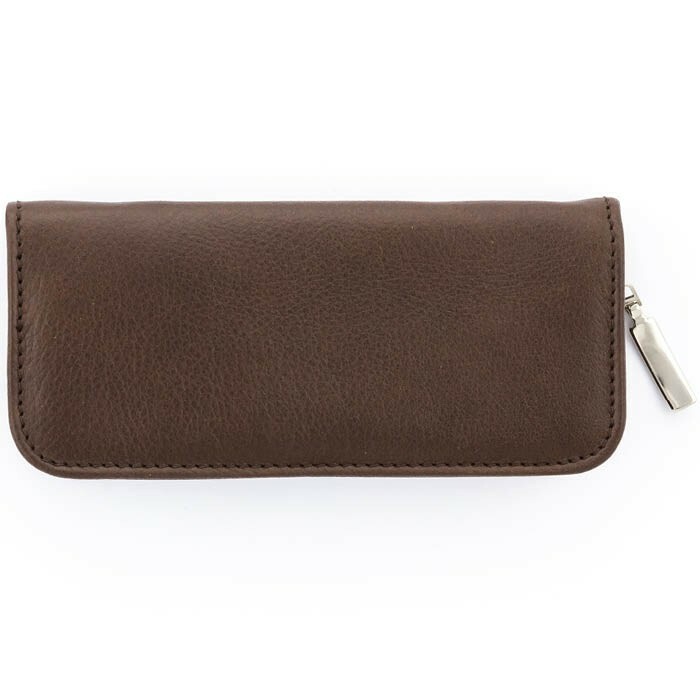 This combined function makes them a perfect travel accessory for a quick fix-up. Large Solingen Nail Clippers (8cm) – innovative and very popular nail clippers in a concave shape for smooth trimming fingernails and toenails. Sapphire Nail File (12 cm) with a very durable filing surface, dual sided, and ideal for very thick nails, including toenails. Cuticle Pusher (12cm) – with an anatomically designed tip for painless pushing back of the cuticles and ergonomic grip for comfortable handling. 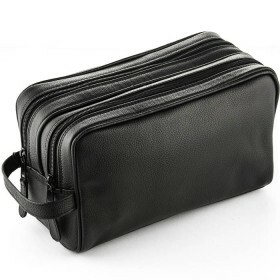 Soft leather case made of fine grain genuine cowhide with a sturdy zipper, protects all instruments in their individual pockets and highlights absolute premium quality for your personal care kit. Ideal Christmas or Birthday gift for men and women who like the best things in life. Case dimensions (closed): 13.5 x 6.5 x 1.5cm.